Next California Retreat 11/ 6 - 11/9 with very Limited Size Register Now! In 2007 due to the sacred mission of turning to the second ten-year holy mission, Special Ability Rejuvenation 3.2D Retreat was stopped, although inquiries have flooded in. This course in the past 10 years has helped many people. Now in order to connect the phase II karma, this unique opportunity come back again. The old and new friends, who wish to participate in the Special Ability Rejuvenation 3.2D Retreat, are blessed! As long as you can prove that you have the ability to make contributions to the Special Soul Healing Resort, you are allowed to participate in the Retreat, to get a fast, natural & fundamental treatment. See more Witness. In the future if your contribution make the Phase II sucessful, a different levels of incentives will be rewarded, such as different percentage of the refund tuition fees, being an honored member, to enjoy a preferential treatment at the soul healing resort and enlightenment temple for lifetime. Oct 30 (Friday) - Nov 3 (Tuesday) of 2009, students have to arrive to hangzhou airport before 1:30pm on Oct 30. *In order to obtain the best results, detail arrangement may be adjusted. Arrive in Hangzhou International Airport in Zhejiang Province, China. Free pick up and delivery from the airport. For better air ticket deals, you shall contact local travel agencies(mostly Chinese travel company) for more discounts, which may be much less than booking online (e.g. Yahoo, Cheap Tickets, Priceline), since travel agencies often can get wholesale prices from airlines. You may be surprised by how much money you can save: $300, or even more! How to get Chinese Visa: You may obtain Visa by contacting Chinese consultate. Students have to arrive to hangzhou airport before 1:30pm or the retreat facility before 4:00pm. 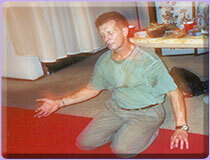 5pm - Special Ability Rejuvenation 3.2D Retreat starts. Grandmaster will prepare a special educational guidance for the spiritual tour, if most students want to go. 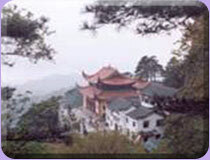 The tour includes Linyin Temple (the greatest temple in china); Airborne Peak and West lake and it's free. The great Linying Temple and the beauty of West Lake has been tiredlessly praised by Chinese poets over and over. This tour is optional, students can also choose to rest in the retreat facility. Retreat class will continue and finish around noon. The Individual consultation section will start in the afternoon. We will arrange a bus to take you back to Hangzhou International Airport, or you can take personal taxi. If you wish to leave at a different time, you shall be responsible for your own transportation to the airport. 1. 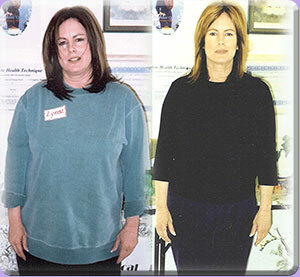 The content and format of Special Ability Rejuvenation 3.2D Retreat are the same as in the US. In particular, we will arrange a high energy closed Qi field at our retreat facility. Therefore, you are not allowed to deviate from our group activities during the retreat. 2. To guarantee the retreat quality, Qinway Qigong Institute will provide all "energy meals" during the retreat. 3. All your lodging will be sponsored by Qinway Qigong Institute throughout the retreat, as part of the high energy closed Qi field. 4. If you wish to stay in China after dates to be determined or do not leave for Hangzhou Airport with our group, you shall sign an additional agreement releasing Qinway Qigong Institute from any responsibility, including your choice of departing from other airports. Note: If you decide to stay in China for a while after the retreat, you are advised to join a tourist group organized by a formal travel agent instead of acting alone. Qinway does not accept the responsiblity of referring you to a temple or travel agent. 5. The cost of retreat in China is $3,600 for new students. For repeat students, it is $1,800. New students will receive a $300 airfare reward and old students will receive $150 reward. 6. 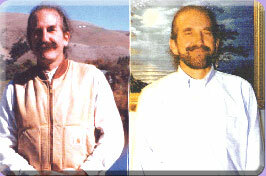 Qinway Qigong Institute reserves the right to modify the above itinerary or schedule as it sees fit. Buy insurance on your ticket to be safe. 7. The maxmum size is 6 new students, if not enough qualified students register the class, it will be rescheduled. 8. Once the schedule confirmed (you will receive a letter from Qinway) and full tuition is due at that time and it's non-refundable for any excuses. 9. Prequalification form is required after registration. Anyone who can help the Phase II project, will be absorbed to our PhaseII Karma Committee. Your help is really appreciated and be recorded on the Qinway's virtue tablet, and you also will receive virtue reward from Grandmaster. 10. The detail retreat location in Hangzhou will be notified 3 days before the retreat due to close qi field requirement. 11. If old students bring a family member or a new student to come to the retreat, will receive a $180 reward. Early registration is required to secure a position in this unique program with a very limited size, since the retreat will be held in a special signal house instead of hotel to guarantee a stable high energized qi filed. Please download and fill out a registration form (Word, PDF), and pay $1,885 ($1,800 plus 4.67% Hawaii Excise Tax) non-refundable registration fee. We accept money order, Visa and MasterCard. Corporate or non-US-based credit cards will be charged 1.37% additional processing fee paid to Visa or MasterCard companies. For the tuition balance due on Retreat day, if you pay by money order, you can get 1% REWARD of Yin-Yang Healing Tea. Space is limited. Early registration reserves a spot, and facilitates Grandmaster Qinyin's individual spiritual preparations for you. For more info, please e-mail us at 930@qinway.org or call us at (925)828-0959. The balance of tuition is due on the day of Retreat, and is non-refundable upon payment. All payments are subject to 4.67% Hawaii general excise tax. For repeat students, the non-refundable registration fee is the same as the full program fee.